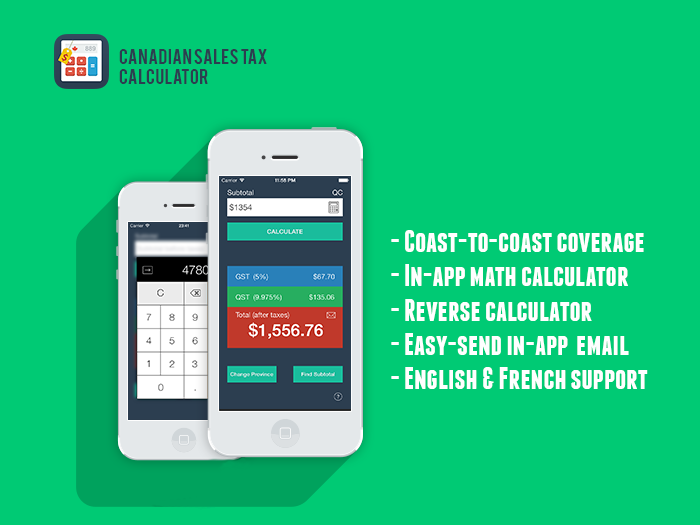 Easy-to-use, elegantly designed iOS 7 application for calculating sales taxes in all Canadian provinces and territories. Canadian Sales Tax Calculator+ helps you calculate sales taxes across Canada, easily and accurately. The calculator supports both English and French language and is always updated with the latest tax rates for all Canadian provinces and territories. Fascinative Labs is a Toronto-based boutique app design and development agency, dedicated to building digital products that people care about and rely upon daily.